I was a bit disappointed when my husband pulled out the radishes. I like nearly all other root vegetables, some more than others, but these peppery little knobs are not my favorite. After scouring my favorite cookbooks and websites for recipes, I felt sorely disappointed in the lack preparations that offered something more than just slicing and pairing with one’s favorite salad, sandwich or dip. 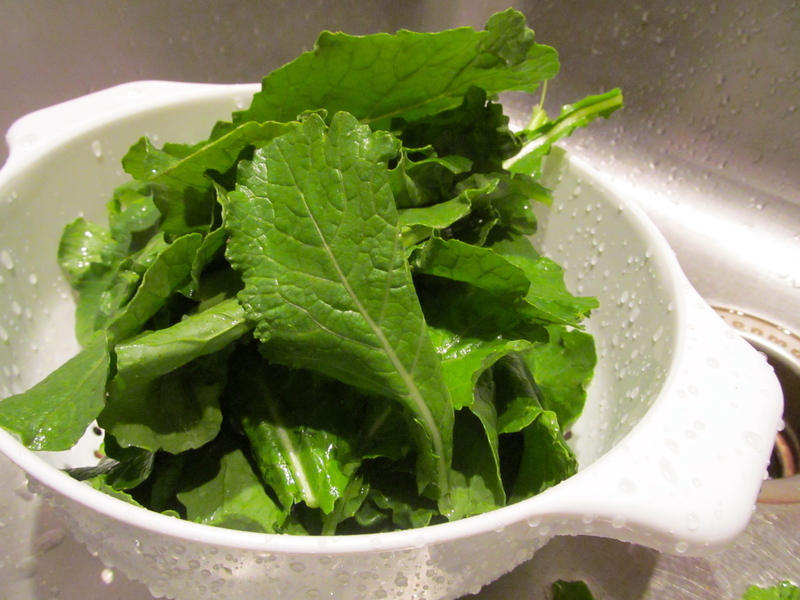 All you need to do is clean your greens, peel your garlic, toss everything in the food processor, and blend until smooth. You can save your pesto to use as sandwich spread or a snack with crackers (you could even dip those sliced raw radishes into their own pesto! ), or turn it into a quick dinner like I did by mixing it into your favorite pasta. 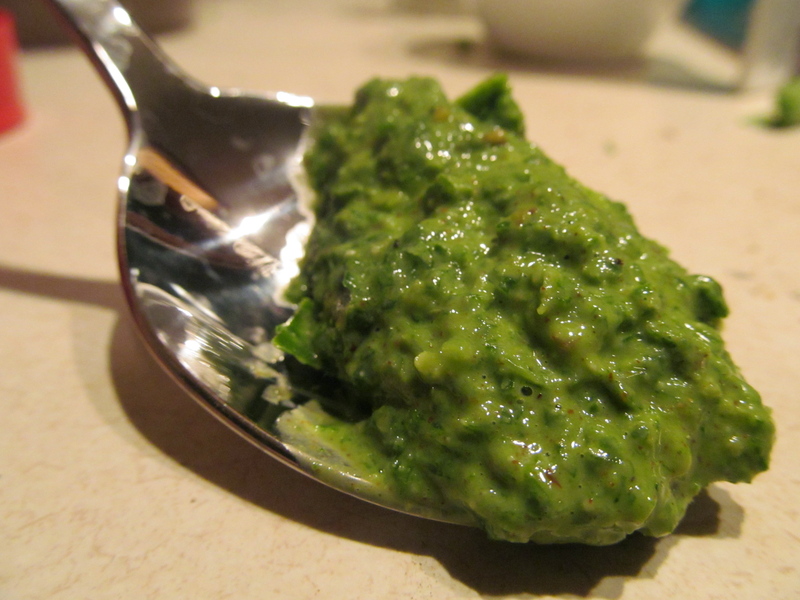 Start with this basic equation: radish greens + nuts + hard cheese = pesto. Post your radish leaf pesto variations in the comments below and tell us how you use it! This entry was posted in Recipes and tagged basil, pesto, radishes by mk.sewn. Bookmark the permalink.